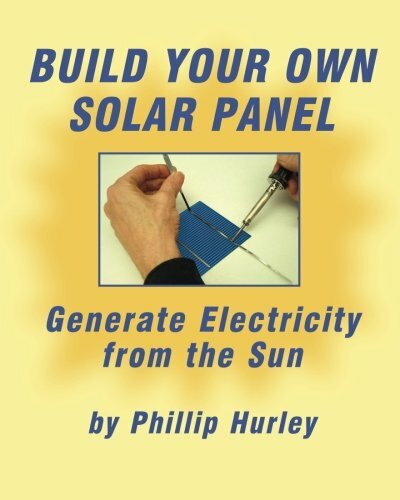 One of the most interesting aspects of solar energy is the variety of items it can power. While solar electric panels that heat homes and businesses are now commonplace, there are a wide variety of other uses too. Instead of thinking of the traditional uses, here we explore a little further afield and discover the following quirky uses for solar power. Solarcooking NV is a Belgian company founded in 2011. Their focus is on introducing renewable energy tools to a global audience in an effort to encourage public awareness and adoption of sustainable energy living. Their first offering to the general public is the SolarCooker Eco3. At first appearing to be a futuristic satellite dish, the SolarCooker Eco3 is actually a cooking device powered by the sun’s energy. Usable anywhere there is direct access to ongoing sun exposure, the SolarCooker Eco3 allows users to cook their food outdoors using only solar energy. Perfect for camping, this quirky cooker is sure to get your campsite neighbors talking in no time. Usable with any black pot (reflective cooking utensils are not recommended), the SolarCooker Eco3 allows outdoor cooking enthusiasts to cook anything from soup to steaks. The SolarCooking NV team includes Kristina Naeyaert, Dirk Van den Bogaert, Roland de Vicq, and Herman Nachtergaele. Snow Lizard is a Miami, FL based company that creates mobile device accessories for outdoor enthusiasts. Their SLXtreme 4 iPhone case includes a solar charging option that enables outdoor enthusiasts to have a constant source of power for their iPhone. Not only does the SLXtreme 4 have this feature, this rugged case is also waterproof and shock resistant. Users can take underwater photos with their iPhone and additionally, do not have to worry about the occasional tumble or jostle ruining their iPhone. This polycarbonite case features rubber sides and is available in black, white, orange, and camouflage. The Snow Lizard team includes Steve Calle, Andreas Haase, Shane Vance, and Ric Lewis. Solar Factory is a California-based company founded by David Dennis Hoff. Solar Factory offers a number of solar products for outdoor pools. Offering everything from solar pool covers to adjustable cover removal tools. It is a one-stop-shop for those interested in heating their outdoor pools with the sun’s energy. Solar Factory offers a patented pool cover and tool that allows pool owners to remove their covers in adjustable sections. Rather than having to haul a heavy solar cover off their pool with a bulky hand crank or motorized monstrosity on their pool deck, Solar Factory’s products make outdoor pool heating easy. With this type of heating, pool owners can reduce water evaporation, cut down on the amount of chemicals used in their pools, and can even reduce their heating costs. Since Solar Factory’s products are adjustable, they can be used on pools of all different shapes unlike regular covers that are only suitable for rectangular pools. These are just three of numerous companies creating consumer products using solar electric panels. Thanks to today’s technology, the opportunities to integrate the technology into daily living are numerous. Tiny panels can be incorporated into a staggering number of devices. From smartphone chargers to gardening gadgets, energy from the sun is being utilized in an ever-increasing number of ways. While larger installations like Apple’s solar technology center in Nevada make the news (geekwire.com/2013/apple-announces-solar-farm-power-server-farm-reno), it is the integration of smaller panels into everyday items that is most interesting. From toys for children to remote control helicopters, solar energy panels are powering a growing number of intriguing items. Even outdoor apparel is not immune to the renewable energy influx. Hats for hiking and backpacks are just two of numerous apparel items that can now be found with integrated solar panels. With an ever-increasing push towards sustainable energy products, the future looks bright for innovative companies jumping into this space early. Which of these products will you be investigating for your renewable energy needs? Which of these solar energy companies will be on your must-watch list this year? Even if you do not use the technology yourself, paying attention to this market is a great way to uncover incredibly interesting gift ideas for the geek who has everything.